The Victorian snowfields, or just east of them played host to the final rounds of the 2018 AORC over the weekend of October 6-7 with the hamlet of Omeo providing a picturesque backdrop for some of the tightest racing of the year to unfold. There was the possibility of four grades being decided on the Saturday meaning that a small moment could destroy a years work for a number of riders. Let the final AORC battles begin. 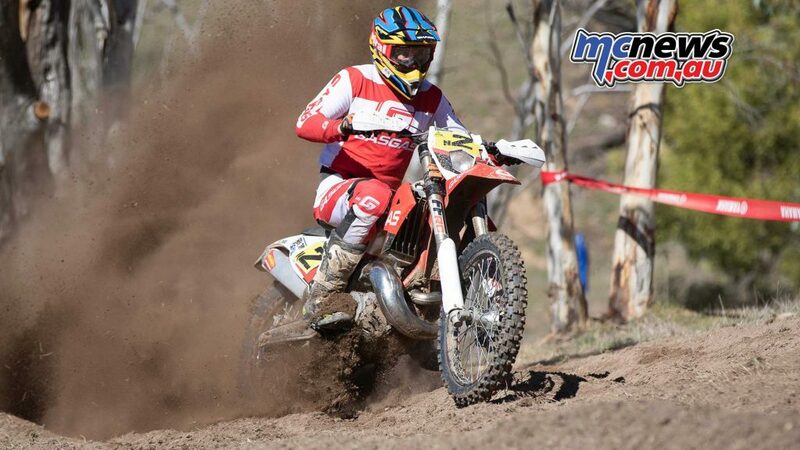 A brisk start to the day saw around 350 riders turn out to the final Saturday of AORC competition for 2018 with this round being entwined with the VORC. 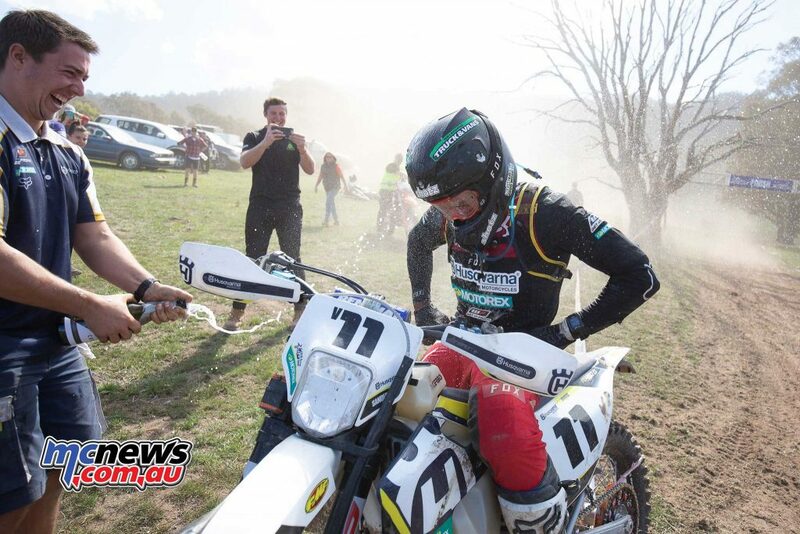 The green hills and plunging valleys around Omeo set the backdrop for some inspired racing. 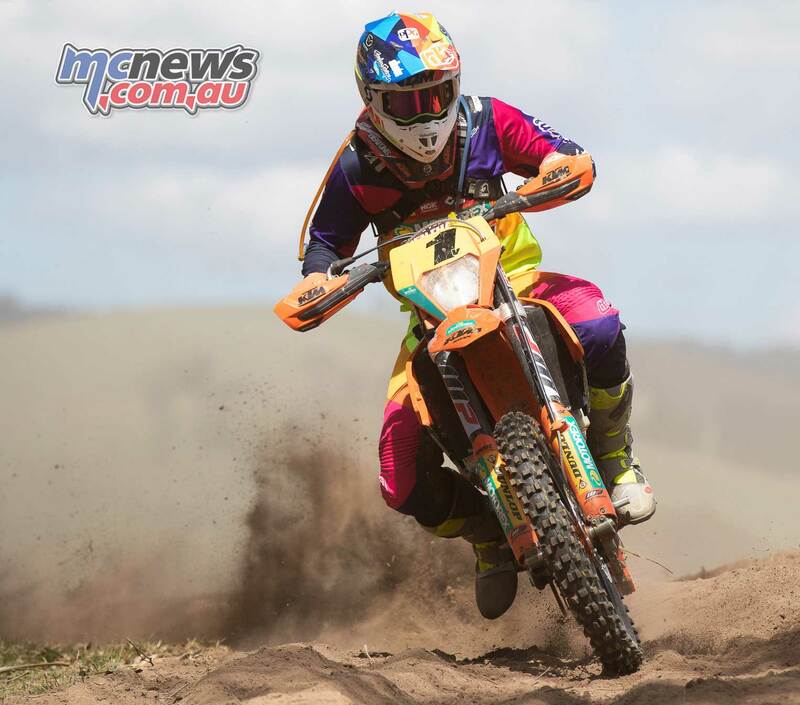 The previous year had seen the AORC come to Omeo and blasted by sub-zero winds as the largest recorded snowfall of 2017 had just blanketed the Victorian snowfields. No such dramas this time aropund though with some of the best weather we’ve encountered all year long. The Saturday competition was made up of cross country for all grades with Sunday being finalised in the sprint format. Juniors took it away early on Saturday morning getting their chance to cut the track and sample some of the off-camber layout. 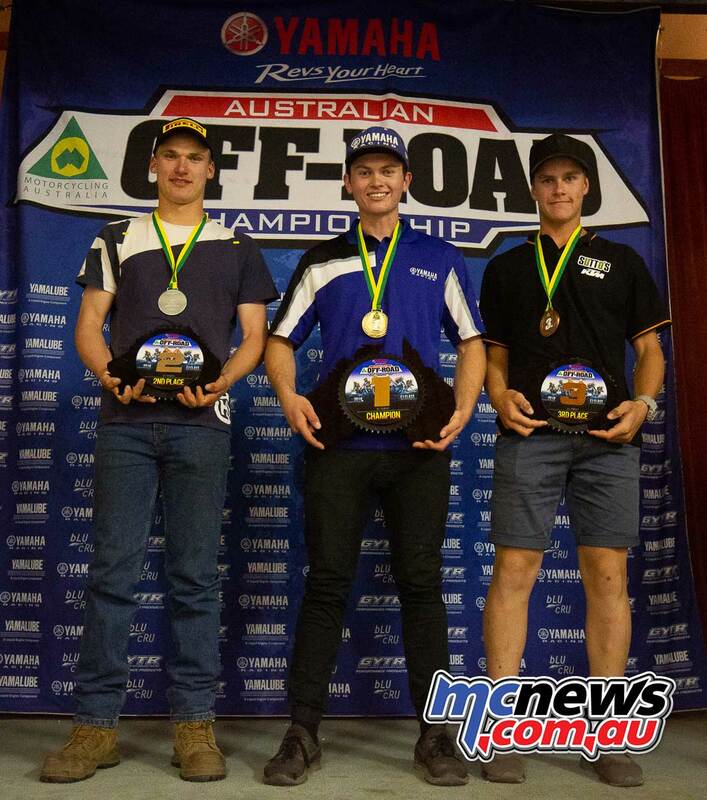 After a tough two-hour stint the eventual winner was Tasmania’s Kyron Bacon however his valiant effort to force class leader Corey McMahon to race another round for the win was too little too late and McMahon was able to walk away the 2018 Championship in J4. After a short intermission the senior grades pushed their bikes to the start line to begin three gruelling hours of battle. Daniel Milner started in the front row a clear favourite to take out E3. Close alongside, Chucky Sanders the E2 leader was intent on pushing himself in an effort to be fastest on track for the day. 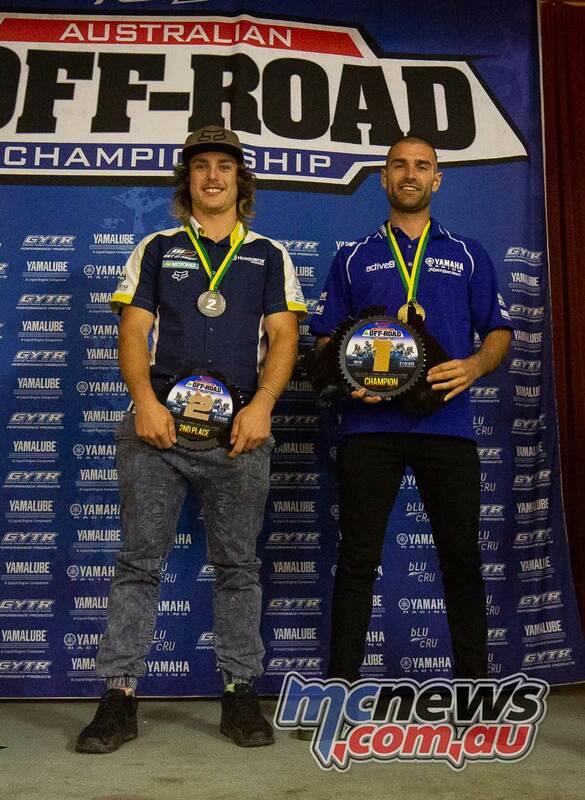 The E1 class was tightly contested all year round and at the start of proceedings Yamaha’s Luke Styke needed to finish 1st with Husqvarna’s Fraser “The Flying Mullet” Higlett coming in third or worse for him to take the championship. 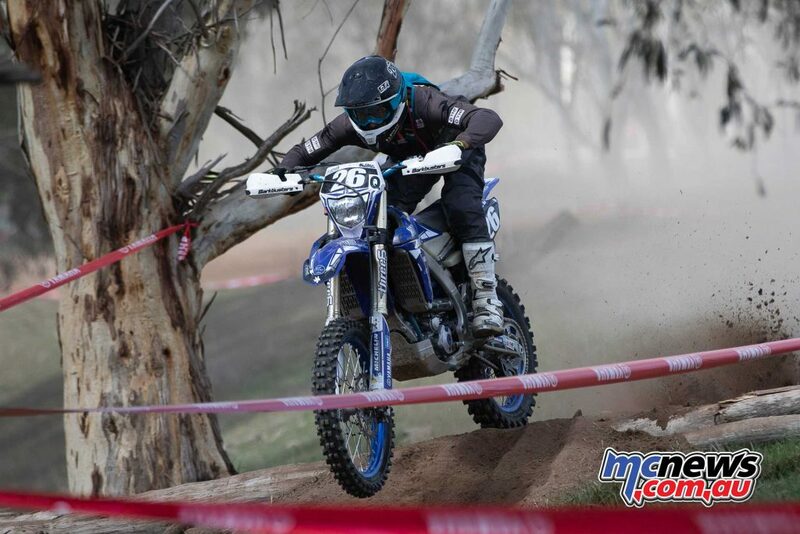 Michael Driscoll held a commanding lead in the EJ class with a championship a real possibility at the end of the day. The Womens class had really been a two horse race all year with Jess Gardiner and Emelie Karlsson trading blows in an effort to wear the other down. When racing got underway it was clear that any precipitation that had fallen during the week had well and truly left the building. 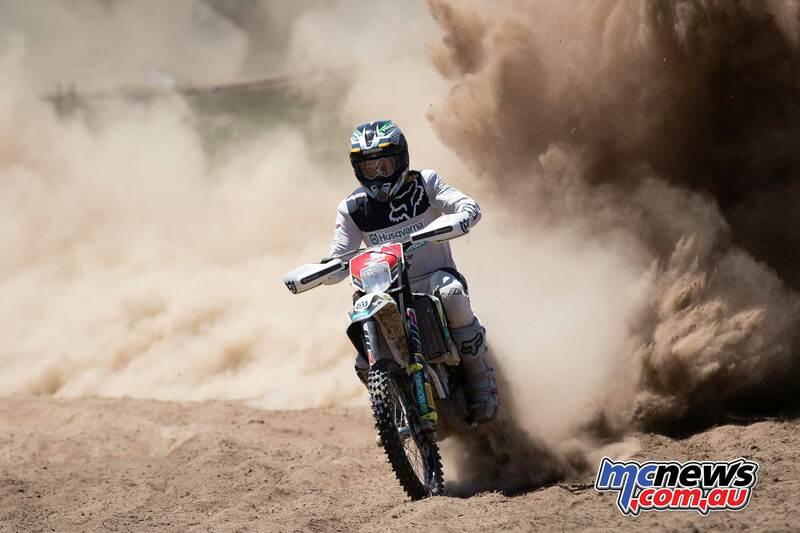 It took all of 30-seconds of the big bikes to create a dust cloud that could be seen for miles. As the day wore on the faster riders inevitably caught the back of the pack creating havoc in the dry conditions. Lappers became a constant threat due to their ability to appear from the dust like ghosts. 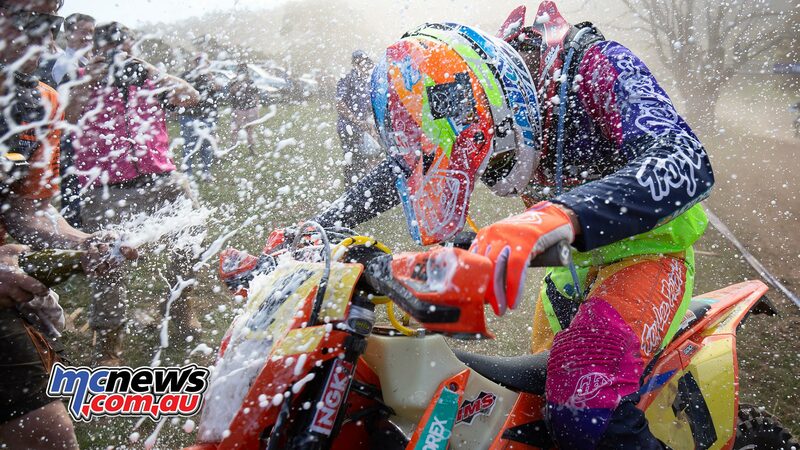 Mostly the quicker riders were able to deal with the conditions though and continue to push to find pockets of clean air before plunging into the talcum powder again. At the end of Saturdays racing Milner was far too strong, showing why he’s been the man to beat all year across all grades. 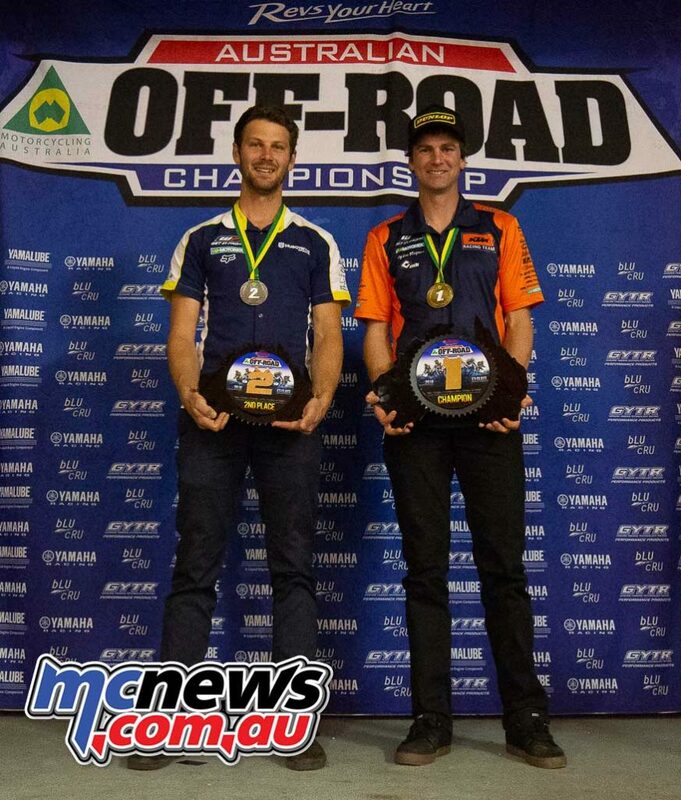 His performance won him the E3 title and the prestige of being the first rider in the history of the AORC to win the coveted triple crown, taking out class wins in each of the senior classes E1, E2 and E3. 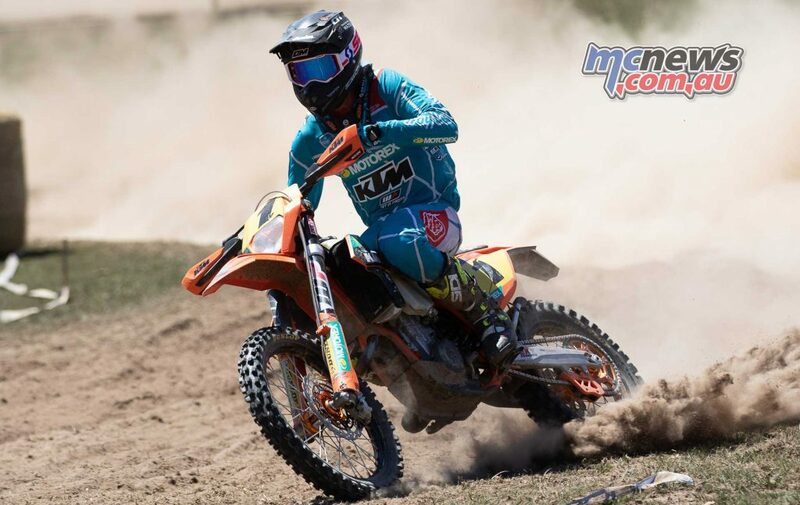 Daniel Sanders rode a tough race after a poor start to fight his way up to 2nd overall for the day and 1st in E2 giving him the Championship. 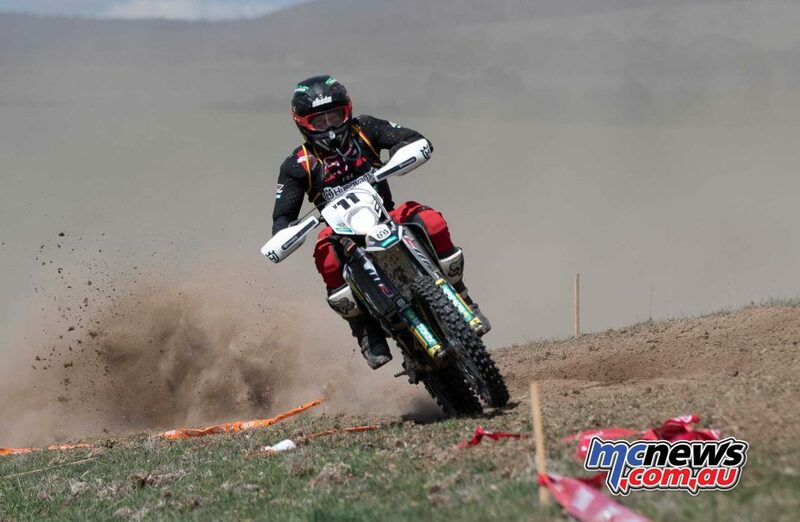 Luke Styke was able to adapt well to the ever changing and rough track to come away in first place while Higlett disappointingly finished in 3rd. Styke clinched the E1 class in his first year of Off-Road racing to show he’s got talent in the bush as well as on an MX track. 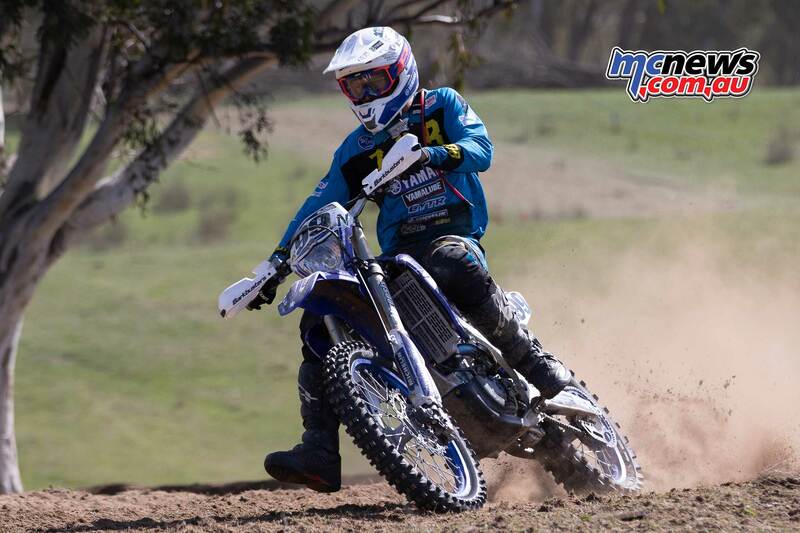 Michael Driscoll handed Yamaha their 2nd championship for the day and his 2nd consecutive title in EJ after a gutsy ride. Driscoll battled cramps for much of his race but was able to push through and finish the victor. One would be excused for thinking that with all the major titles decided that Sunday would be a walk in the park, a show day. How far from the truth this actually was. True to form, everyone turned up to race and there was no taking it easy with each rider pushing to the very end. To come all this way not to finish it off hard and fast would seem a waste. In typical punishing form Daniel Milner eclipsed the field in the final day of racing making him the fastest rider on track for the year. 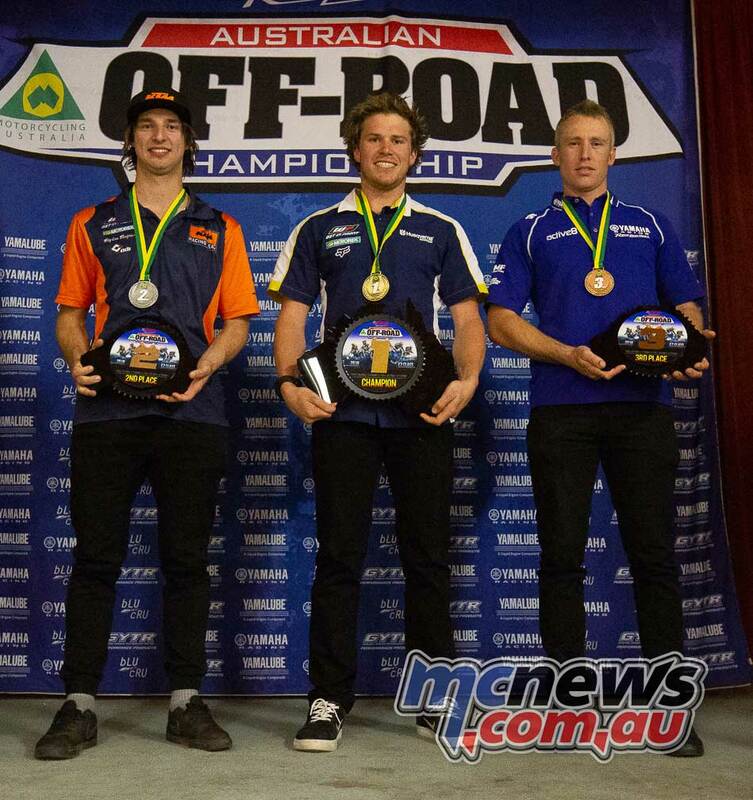 As an aside to this, his team mate Lyndon Snodgrass was able to claim second fastest for the year in a tightly fought battle with Yamaha’s Josh Green that wasn’t decided until the conclusion of the last sprint test of the year. For the majority of the riders they are now into an well earned break before pre season training and testing will begin. 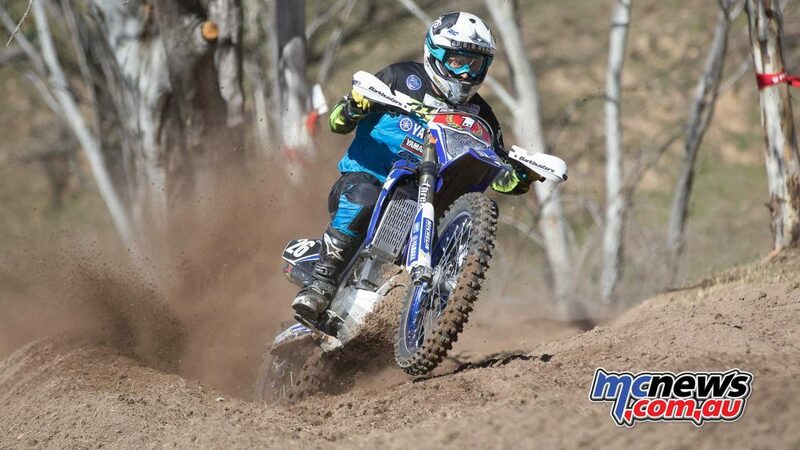 For the ISDE team however the grind will continue until the final moto in Chile in mid November.